I’m going to self-publish my book as a print-on-demand paperback. How do I know what dimensions to use? Does size matter? 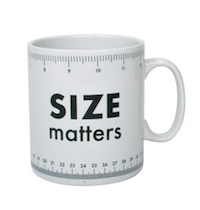 Yes, size matters. But you’ll have a lot of good choices. First, decide how you want to distribute your book, then check that manufacturer’s standard sizes. If you’ll be using more than one print-on-demand supplier (we suggest Ingram Spark for broad bookstore distribution, plus CreateSpace for optimal Amazon.com access), be sure to choose a size that both suppliers offer. Notice that A5 size (5.83 x 8.27 or 210 x 148mm) is not on the list; Ingram supports it, but CreateSpace does not. Previous post: Which Typeface to Use?